The “Aluth Avurudda” is a great cultural festival that has been observed by us from ancient times. It is the festival that marks the great association of Mother Earth with the Sun. 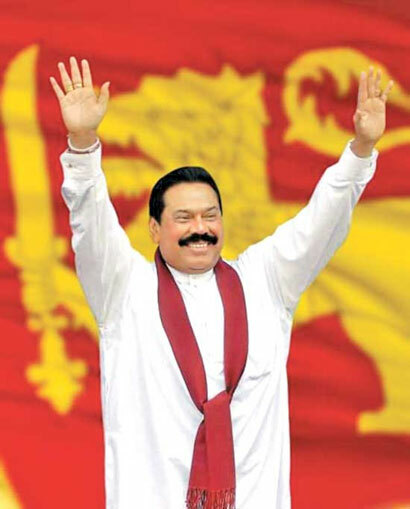 Sri Lankans who are nurtured by an agricultural lifestyle meaningfully accepts the dawn of this traditional New Year, stated President Mahinda Rajapaksa in his New Year message. The fullest joy of the New Year is realized in a free country where home and hearth is in full abundance, he said adding, ‘the ability to make the country self-sufficient in rice, built a society rich in ethical values and seeing this birth of a New Year of happiness, gives us much cause for satisfaction’. Let us welcome with joy the New Year that has dawned. The “Aluth Avurudda” is a great cultural festival that has been observed by us from ancient times. It is the festival that marks the great association of Mother Earth with the Sun. Sri Lankans who are nurtured by an agricultural lifestyle meaningfully accepts the dawn of this traditional New Year. The fullest joy of the New Year is realized in a free country where home and hearth is in full abundance. The ability to make the country self-sufficient in rice, built a society rich in ethical values and seeing this birth of a New Year of happiness, gives us much cause for satisfaction. It is a joy to us all that today, more than at other times, our people are committed to observing the tradition of the New Year and thus the revival of the nation. The great tradition of bonding among families that is seen in the New Year adds strength to our society. Therefore, we must value the traditions that have come down to us from centuries past, protect them, and bestow this heritage to the generations that follow. This is what assures the continuance of the Sri Lankan nations.